At this point down the line, it is established that I am a huge believer in the collective consciousness experience that a good live concert can provide an audience. If the band is on, and the audience is receptive and attentive, and everything is lined up just so, then a live show can turn into something much greater than the sum of its parts. During such a gathering, the interaction between performer and audience has the ability to change perceptions, and achieve a profound collective experience that can't be found anywhere else in today's day and age. 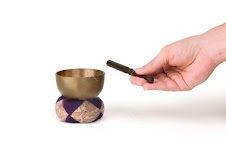 It is a sort of transcendental contact between performer and audience, a synergy of communion that connects together all who are present and participating in the event. With the recent Phish re union shows at the Hampton Coliseum, this phenomenon has naturally been on my mind. The band's epic, marathon sets have reminded us all of their absence, and how much the cathartic celebrations that are Phish shows have been missed. 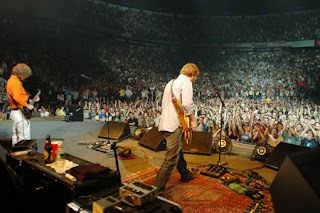 To get an audience of 15 to 25,000 people to all groove on the same wavelength and in the same headspace is no easy feat, and there is no band today that is able to achieve this feat as effortlessly as Phish can. Phish chose Hampton for these shows, as the venue is particularly conducive to the collective band/audience experience. But then I got thinking: considering the live electric concert experience has really only existed for about 50 years now, we are extremely lucky to be able to experience such phenomena. Before rock and roll, before electricity and amplification, where did people turn for a good rousing dose of collective mindmeld? In America's past, say 150-250 years ago, what events had the ability to bring large groups of people together in this way? The answer seems to be public oratory. Public speakers of the 18th and 19th centuries had the ability to gather massive crowds, and the best ones had the ability to profoundly move their audience to a point of transformation. It seems that in those olden days, these events were the closest thing the public had to a live concert. 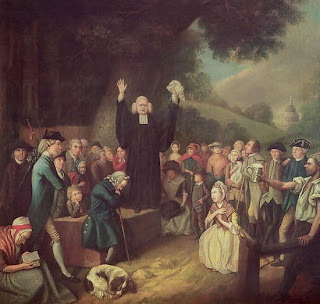 There is an excellent essay by Granville Ganter, entitled “'Tuning In': Daniel Webster, Alfred Schultz, and the Grateful Dead,” in which the author compares the speeches of Daniel Webster with Grateful Dead concerts. 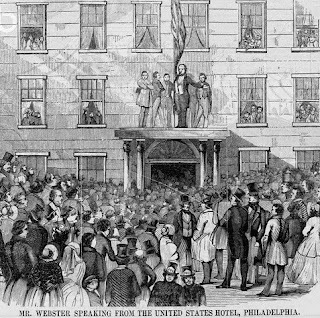 Back in the day, people gathered in massive numbers to hear Webster deliver passionate oratory, and were greatly moved by his words. Ganter mentions that in 1840, more than 15,000 people climbed up Mt. Stratton in Vermont to hear Webster speak. This reminds me all too well of Phish's final days in 2004, when thousands of Phishheads stranded in traffic walked up to 25 miles to reach the mud-filled festival site of the band's last shows in Coventry, Vermont. In both cases, we see an audience's intense willingness to go through great lengths to be a part of a special communal event. His eloquence had a wonderful power over the hearts and purses of his hearers, of which I myself was an instance...He had a loud and clear voice, and articulated his words and sentences so perfectly, that he might be heard and understood at a great distance, especially as his auditories, however numerous, observ'd the most exact silence. He preach'd one evening from the top of the Court-house steps...Both streets were fill'd with his hearers to a considerable distance...I computed that he might well be heard by more than thirty thousand...Every accent, every emphasis, every modulation of voice, was so perfectly well turn'd and well plac'd, that, without being interested in the subject, one could not help being pleas'd with the discourse; a pleasure of much the same kind with that receiv'd from an excellent piece of music. Right from Franklin's mouth, folks. The Court-house steps must have had a rowdy lot scene. So be it the year 1740, 1840, or 2009, the public's desire to experience a profound moment of transcendental contact has always existed. Except back in the day, the heavyweights were orators like Daniel Webster and George Whitefield. So I suppose that makes live bands like the Dead and Phish our modern-day preachers, serving up hefty doses of collective transcendence on a regular basis. Try to remember this the next time you're blissing out to a sick “Slave” or “Hood,” as it is good to recall how lucky we are to have these bands in our lives.